This quaint alley in downtown Florence was landscaped in 2007 for use as a public space as part of the city’s greater revitalization plan. 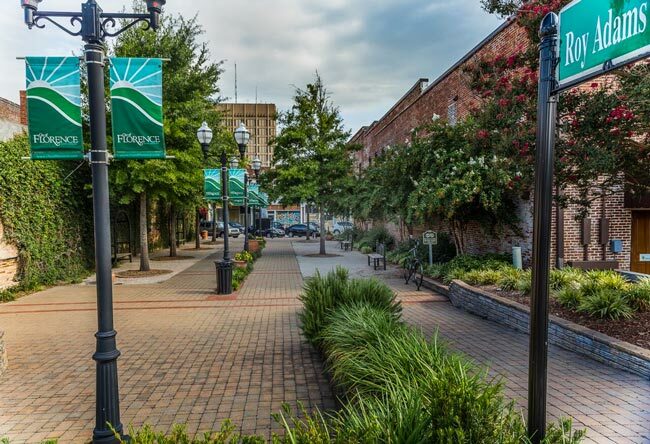 Initially called the West Evans Street Breezeway for its location, the pedestrian street was officially renamed the Roy Adams Breezeway in a dedication ceremony held at the site on June 30, 2014. The breezeway now honors the city’s first Downtown Development Manager, Roy Adams, who died in 2005. Adams and his wife, Mary, relocated from Baltimore in 2001, where he had made a career in urban planning and development after graduating from Johns Hopkins University with a masters in administrative science. Upon accepting his post in Florence, Adams helped develop the Pecan Festival and also worked to revitalize downtown buildings and businesses. 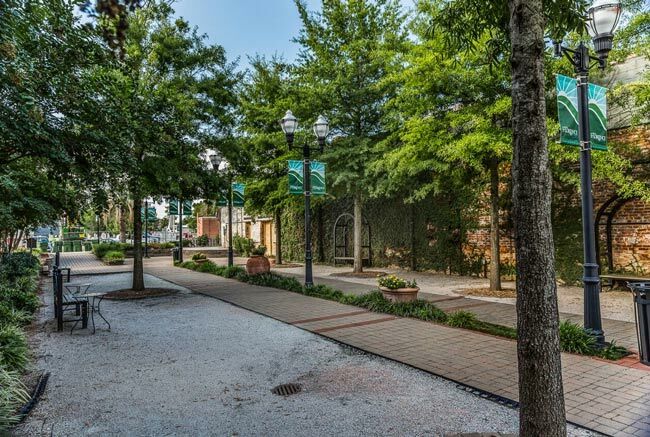 Many of the downtown projects started by Adams have continued and flourished since Adams’ passing; he is credited with establishing the groundwork that has led to Florence’s increasing success as an urban hub. The breezeway that bears Adams’ name is the location of a weekly farmers market and the site of local concerts and other events, including performances held during the Pecan Festival. The Roy Adams Breezeway is beautiful, I wish they would create more green spaces in Downtown Florence. I took a trip up to Spartanburg, their tree planting is beautiful. I hope Florence does more with their tree planting. Thanks.